Great news! 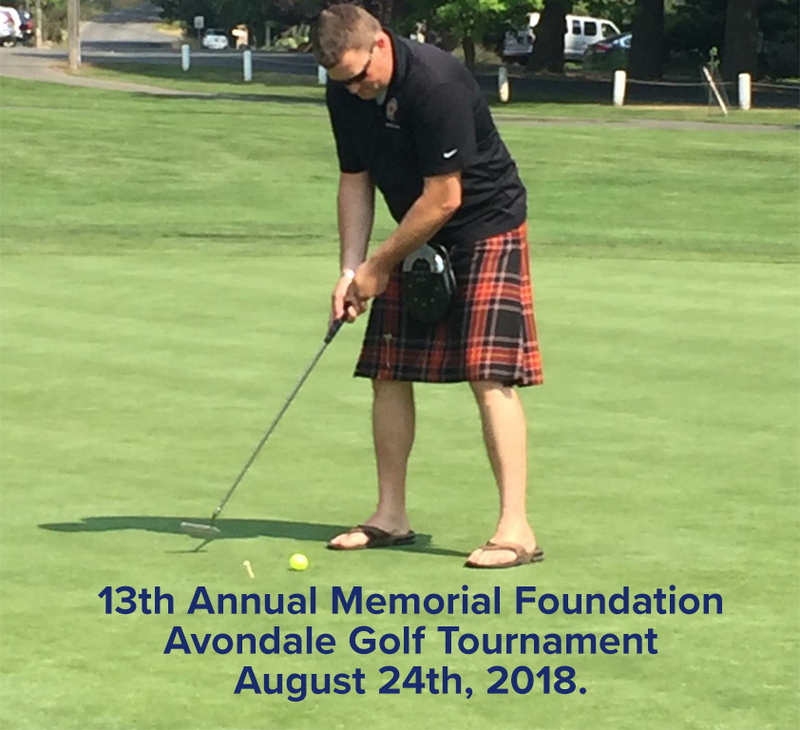 The 13th Annual Memorial Foundation Avondale Golf Tournament is now open for registration. Hold on to your seats because this year we are offering online registration through the Eventbrite platform! We are very exited to be offering this added convenience. The change allows us to be better prepared for all the those interested in making advance arrangements to play for the day and also to give our attention to those last minute stragglers who register on the day of the event itself. Either way you will be better served with less lines, less waiting and more time on the golf course enjoying the day 🌝. If you’d rather register the old fashioned way, no problem. Contact kassi2@gmail.com for more information about the Tournament and request the registration forms via email. It’s a gonna be a great event and a great day. We look forward to having you register online and seeing you on the day of the event. We are pleased to announce the 12th Annual Kootenai County Police & Fire Memorial Golf Tournament at Avondale Golf Club, Friday August 4th, 2017. The event begins at 9:30 and continues throughout the day. For tickets and information call (208) 598-8353 or contact info@firstrespondersmemorial.org. Once again our event sponsor is Parker Toyota located in Coeur d' Alene. Mark your calendars. It's that time again. This year's 12th Annual Memorial Foundation Avondale Golf Tournament will be held on Friday August 4th. Mark your calendars for this tremendous event.